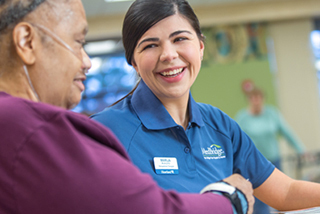 HCR ManorCare the leading provider of short- and long-term medical and rehabilitation care is seeking a passionate and driven Occupational Therapist / OT. If you are looking for a challenging and rewarding career assisting our patients in a time of need, then we are looking for YOU! 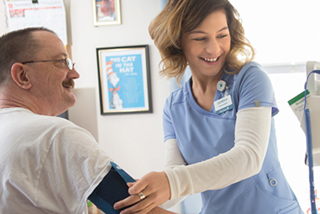 Our Occupational Therapists / OT are the cornerstone to HCR Manor Care's commitment to caring. Working in the health care environment can be very demanding, and it is our goal to provide the tools to help our Occupational Therapists / OT understand and commit to the philosophy that defines our culture. Our strength is not just quality of care, but also our quality of caring. We are interested in employing Occupational Therapists / OT who are as passionate as we are about ensuring that our patients and residents receive the care and support services they need and deserve. Plans and administers prescribed occupational therapy treatment program for patients to facilitate rehabilitation following illness, disease, or injury. Prior experience in Occupational Therapy preferred, but not necessary. Lifting 50 pounds maximum with frequent lifting and or carrying of objects weighing up to 25 pounds. Walking, standing, bending, stooping and sitting for prolonged periods. Full use of gross and fine motor skills of the upper and lower extremities. Job Specific Details: This position will consist of providing weekend coverage.